Today, infrared thermal imaging has become essential for accurate building diagnostics. The fact is, the data that’s provided through imaging far exceeds any other diagnostic technique. Damaged or poorly installed insulation can be easily identified. Air leakage and moisture intrusion can be accurately detected in the building envelope. Areas of sub-standard construction can be very clearly highlighted. It’s a technology that accurately pinpoints heat loss that would otherwise by undetectable to the naked eye. Energy efficiency (or lack) can be precisely diagnosed. Water damage can be clearly revealed. And structural issues can be exposed for future repairs or retrofitting. For any building owner (residential or commercial) infrared imaging will allow for early diagnosis of specific problem areas, and better decision-making when rectifying the areas of deficiency. All of the above can be costly when it comes to maintenance and repairs, so having an infrared inspection can help detect issues early on. A Complete Building Inspection Can Be Undertaken Without The Need To Open Up Ceilings, Walls, Or Roofs. For example, when diagnosing air infiltration or exfiltration, problem areas can be isolated in preparation for repair work. Similarly, pockets of moisture or wetness in a building envelope can be identified so that the source and extent of the problem can be addressed. Thermal imaging is quick and reliable. 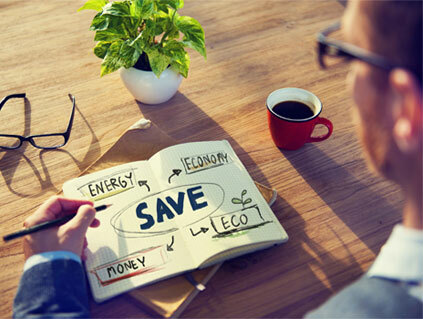 Imaging Audit & Start Saving On Your Energy Bills Today! Mike Farquhar from BSG was very friendly and efficient. He explained everything he was doing. changes to our home that would make a big difference (ie. silicone under bedroom window trim). We would recommend this service as it was well worth our time. Thank you! Thermal imaging has proven extremely valuable in revealing compromised insulation (basement and attic) or doors and windows that have been poorly air-sealed. Infrared thermal imaging provides accurate data about a building’s air tightness, and consequent energy efficiency. This type of diagnosis can be relevant when determining air leakage through walls, roofs, and attics. Indeed, imaging has proven extremely valuable in revealing compromised insulation (basement and attic) or doors and windows that have been poorly air-sealed. How Do Infrared Thermal Cameras Work? Infrared cameras have proven to be valuable inspection tools. It’s a technology that accurately pinpoints heat loss that would otherwise by undetectable to the naked eye. Additionally, whether the deficiency is related to air sealing or thermal insulation, imaging data will allow for the most cost effective improvements to be made. Thereafter, improvements can actually be monitored. Whether it’s a residential property or commercial, the principal cause of air leakage is associated with construction flaws. The result is undesirable airflow in and out of the building envelope. As such, thermal imaging can detect the source and scope of air leakage better than other options. Consequently, this allows for repairs/retrofits to be made specific to the source of leakage. 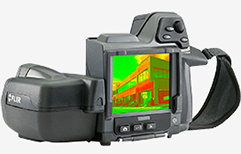 Thermal imaging instruments are highly technical and require expertise. BSG’s skilled inspectors have in-depth understanding of building science and building construction, and have conducted many inspections over the years. This type of building diagnostics requires a professional who completely understands the nuances of air leakage, moisture collection, and thermal bridging. Professionals Use Both Infrared Video Cameras And Infrared Still Cameras To Evaluate The Surface Temperature Of A Building Envelope. 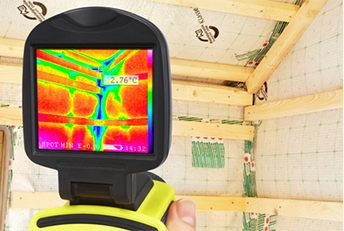 When it comes to energy efficiency, thermal imaging can determine the areas where insulation has been compromised and where improvements have to be made in order to rectify the problem. The resulting images (video or still) highlight temperature variations, with white areas showing the warm spots, and black areas showing cool spots. When it comes to energy efficiency, thermal imaging can determine the areas where insulation has been compromised and where improvements have to be made in order to rectify the problem. 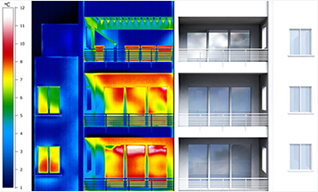 Conventionally, a thermographic inspection should include an interior as well as exterior survey. With an interior survey, an experienced energy auditor can easily identify the areas where warm air is escaping. As for exterior surveys, they do provide additional data, but accuracy can be off, because outdoor weather dynamics can affect readings. This is exactly why an interior survey is usually more accurate, offering readings and results that are considered more reliable. A thermographic survey can be of great benefit when doing a blower door test. This test actually exaggerates air leakage in a building envelope so that diagnosis can be more specific. Using the thermal imaging technique, air leakage and heat loss appears very clearly, and areas of deficiency are vivid to the eye. For an energy auditor, this type of data allows for viable recommendations to be made in order to repair and/or retrofit the areas that are in most need of attention. Infrared Imaging Also Allows Energy Auditors And Home Inspectors To Assess The Effectiveness Of Installed Insulation In A Building. 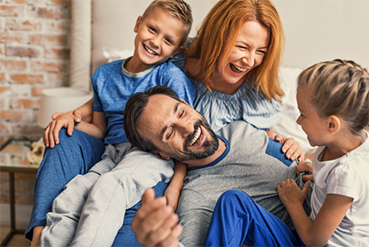 With a detailed survey, resulting data is integral in deciding if insulation needs to be replaced or upgraded, and where. This approach has become an effective way to upgrade existing insulation where it’s needed the most. It’s a very targeted remedy, cost effective in terms of product and installation, and allowing for the best return on investment. Today, there are countless infrared imaging devices available. However, experienced users find more accuracy with cameras that produce two-dimensional images. As such, less sophisticated devices do not provide the quality of detail required for a comprehensive energy assessment or building inspection. Whether interior or exterior, the higher the quality of detail the better - more deficiencies will show up, and there’s a better chance to rectify each of those deficiencies. Beyond the accuracy of data results, thermal images serve as early detection of deficiencies in a building envelope. This allows for restorative work to be expedited, well before serious problems or damages arise. Whether commercial or residential, infrared thermal imaging provides better appraisals than other diagnostic techniques. Beyond the accuracy of data results, thermal images serve as early detection of deficiencies in a building envelope. This allows for restorative work to be expedited, well before serious problems or damages arise. BSG’s professional building inspectors can quickly and accurately scan a building envelope without any pre-inspection preparation. Combining interior and exterior surveys, temperature distribution is accurately measured, without penetrating the walls, ceilings or floors. When done right, infrared imaging allows for early detection of problems. With thermal imaging, building owners can preempt many potential problems. Repairs/retrofits can be well planned, and cost effective solutions can be assured. Best of all, unwelcome surprises are avoided entirely. Importantly, this is work best left for the professionals - experts who have a deep-rooted understanding of building science. Inspection With Infrared Thermal Imaging.